This sofa flaunts an elegant design style that you're sure to fall in love with - especially when you consider the affordable price point. 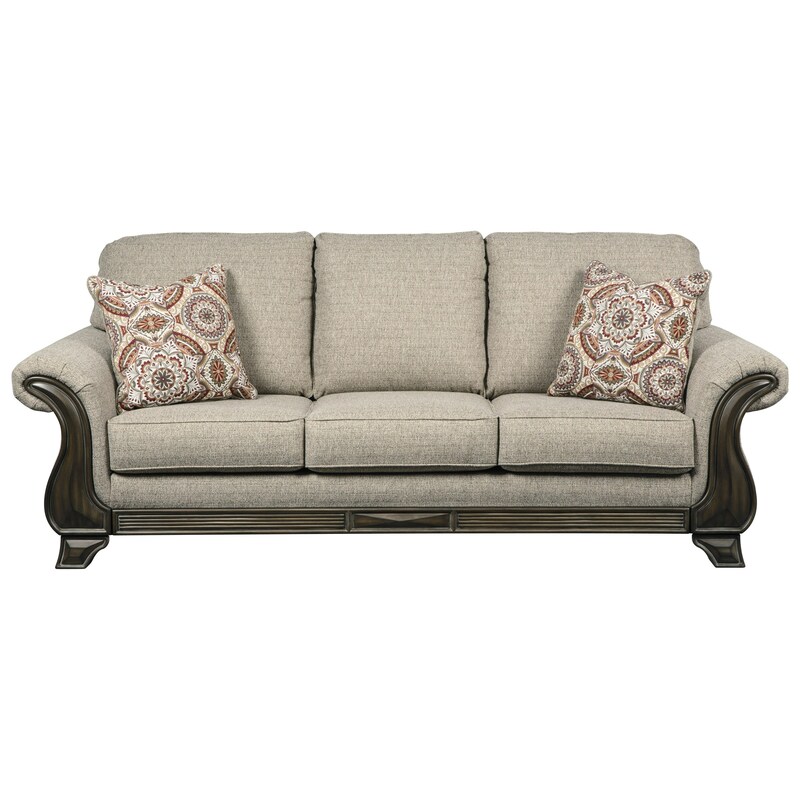 Features include the showood trim and classic rolled arms, both staples of traditional design. Purchase the entire collection for a matching look and complete it with a coordinating coffee table set. The Claremorris Sofa with Traditional Style by Benchcraft at Michael's Furniture Warehouse in the San Fernando & Los Angeles area. Product availability may vary. Contact us for the most current availability on this product.